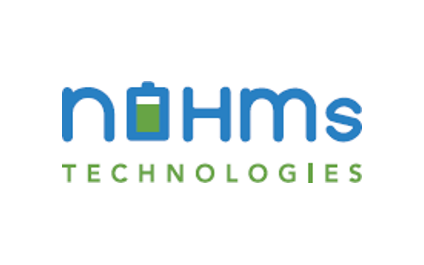 December 2016 Newsletter: New Financing, Cells Delivered to DoE - Rochester, Gates-North Gates, Greece | NOHMs Technologies Inc.
Based in Rochester, New York, NOHMs is a leading developer of ionic liquid electrolytes and to improve Lithium Ion battery life and safety. We partner with leading manufacturers to commercialize battery technology for emerging markets. NOHMs has been awarded a sub-contract from Cornell University for the ARPA-E project entitled 'Engineering High Energy Secondary Lithium Metal Batteries,' which aims to demonstrate rechargeable Lithium metal batteries that meet United States Advanced Battery Consortium (USABC) targets for energy density and lifetime. 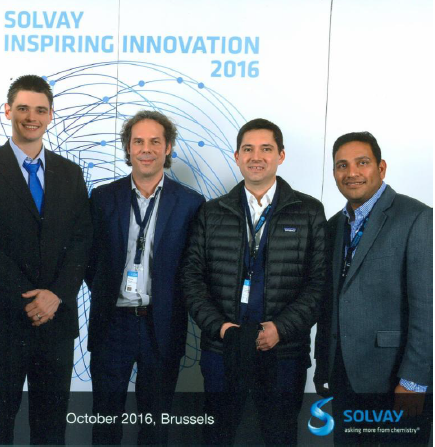 NOHMs CEO, Nathan Ball, participated in a discussion panel for innovation at the "Inspiring Innovation 2016" global conference at Solvay's headquarters in Brussels, Belgium. R&D professionals at Solvay come from around the world to the "Inspiring Innovation" conference to discuss best practices for innovation models, methods, and tools for the chemical industry.